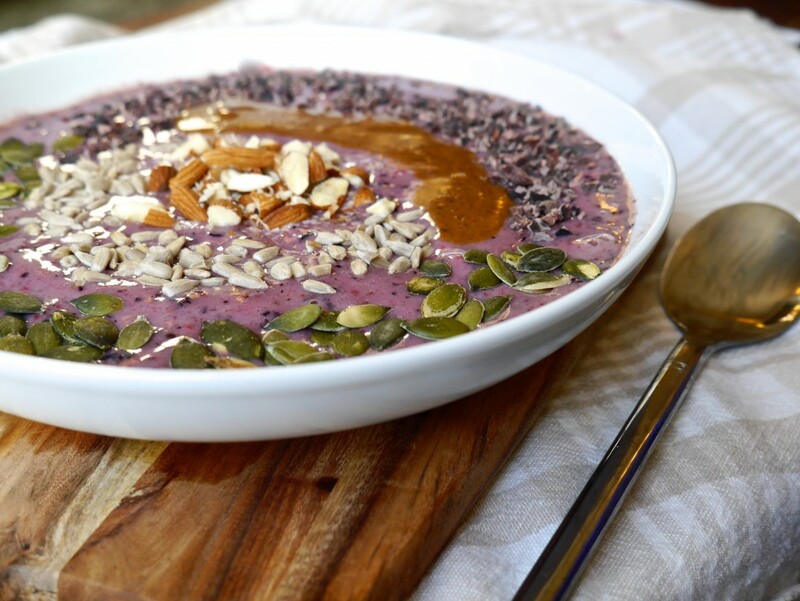 This smoothie bowl is just so awesome. 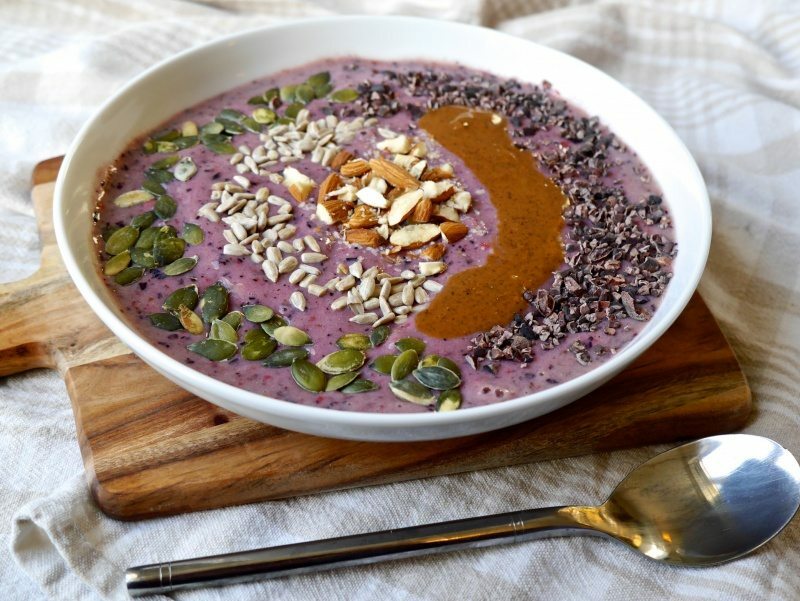 It just so happened that all of my ingredients were frozen at the time I created it which, aside from giving me brain freeze a number of times, actually made this smoothie bowl taste more akin to an amazing ice-cream treat than breakfast. Regardless of whether you use fresh or frozen ingredients though, it will be super delicious because it’s the combination of tastes from the ingredients that make it so yummy! The berry flavour really comes through in this recipe, making it genuinely taste like summer in a bowl. The banana provides you with a healthy dose of complex carbs and potassium, whilst the dates add dietary fibre and the berries deliver vitamin C in abundance. The blueberries & spinach are superfoods bursting with antioxidants that improve brain function and contain anti-cancer properties, helping to make you the healthiest possible version of yourself! The baobab powder is optional but simply boosts the vitamin C and potassium in this recipe, and improves your body’s uptake of iron. I added almond butter and sprinkled sunflower & pumpkin seeds over my smoothie bowl for a healthy fat and plant-based protein boost, and cacao nibs for a hint of chocolate-y decadence & crunch, but you can add whatever you like. My Banana & Honey Nut Granola also tastes amazing sprinkled over smoothie bowls! Let me know if you love this recipe as much as me, I really hope you do! Put a bowl in the freezer. Place all of the ingredients in a food processer and blend. (Add almond milk or ice if the smoothie is too thick until the consistency is right to your personal taste). Pour the smoothie into your cold bowl and serve with toppings of your choice.